This resource is from shmoop.com. The website offers students a summary of the conflict as well as a timeline, photos and a section on test review. 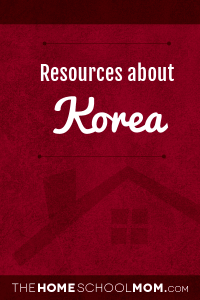 This page tells kids the story of the Korean War. It's designed for adults to use with middle school students, but some elements may also be thought provoking or interesting for teens. The lesson includes key facts about the Korean War for kids, including the causes of the Korean War for kids.This is not a detailed history of the Korean War, but instead an understandable, accurate and brief summary of the Korean War for kids, a Korean War lesson plan and an interesting "story" for students curious about this chapter of American history. From Cold War.me. This site also includes printable puzzles and coloring pages. Learn about and meet the people of North Korea. Grades 4-8.